Vintra's bi-weekly round-up of AI-related articles, blogs, videos, and papers we liked. Forget the handheld mirror, AI really can see around corners. Read the article here. Computer vision researchers have uncovered a world of visual signals hiding in our midst, including subtle motions that betray what’s being said and faint images of what’s around a corner. Read our latest White Paper, The AI (R)Evolution of Enterprise Security. Robot delivery service, but is it worth the headaches and potential pitfalls? Read the article here. [People] can get parcels sent to a depot and receive a notification once they arrive. They can then get the items delivered to their door by robot, at a time of their choosing. Computer generated faces... and maybe a nightmare or two if you watch! Watch the video here. Computer generated faces Progressive GAN model trained on 50,000 images from a photo booth at the ZKM Center for Art and Media. 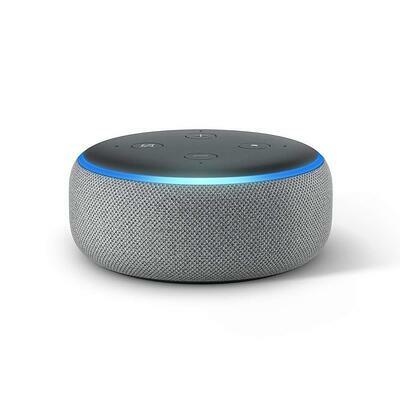 Great, challenging, article in The Atlantic about Alexa and the like. Read the article here. ...Amazon and Google are pushing these devices hard, discounting them so heavily during last year’s holiday season that industry observers suspect that the companies lost money on each unit sold. These and other tech corporations have grand ambitions. They want to colonize space. Not interplanetary space. Everyday space: home, office, car.